Royal Mail has confirmed it is to relocate its delivery operation in Bacup to its office in Rochdale in late February. This follows detailed discussions with the CWU and people based at both offices. This is part of Royal Mail’s ongoing transformation of its business and work to increase efficiency of its operation. As a commercial business, Royal Mail is responding to the huge growth in electronic communications and decline in letter volumes, while seeing a high volume of parcels and online shopping which need to be delivered. A further announcement on Todmorden Delivery office will be made later. The proposal to move the delivery offices was confirmed in July 23017 after a proposal was put forward in 2016. Further detailed planning is now taking place to ensure a smooth transition for operations, staff and customers. There will be no impact on mail deliveries to customers, who will continue to be served by the same postmen and women. There will be no compulsory redundancies as a result of this move. 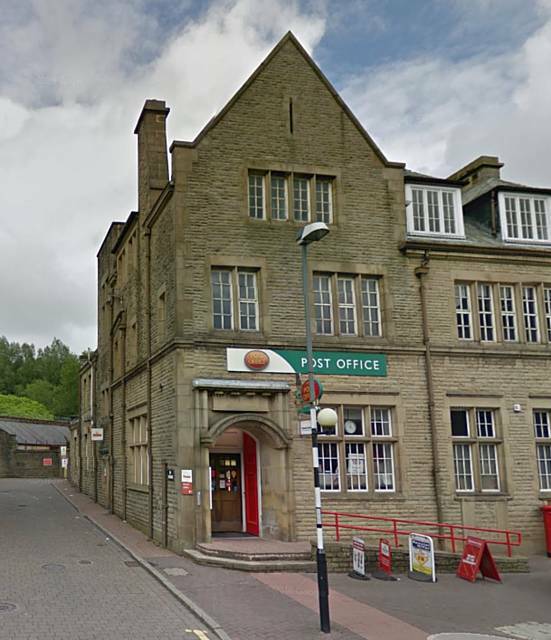 If Bacup customers choose to collect mail because they were not at home when Royal Mail tried to deliver it, they will be able to do so at Bacup Post Office. The addresses and opening hours for these branches will be given on the “Something For You” card left with customers. Royal Mail can also leave many mail items with a neighbour - excluding Special Delivery items and inbound international items that require a signature - if customers are not at home when delivery is attempted. Customers can nominate a dedicated neighbour to take in their parcels by filling in a form at their delivery office.